Please visit http://terravali.com/09QPOceano13k to view 300 pictures of this car, original factory specs, carfax history report and all other details you may need to make an informed decision. 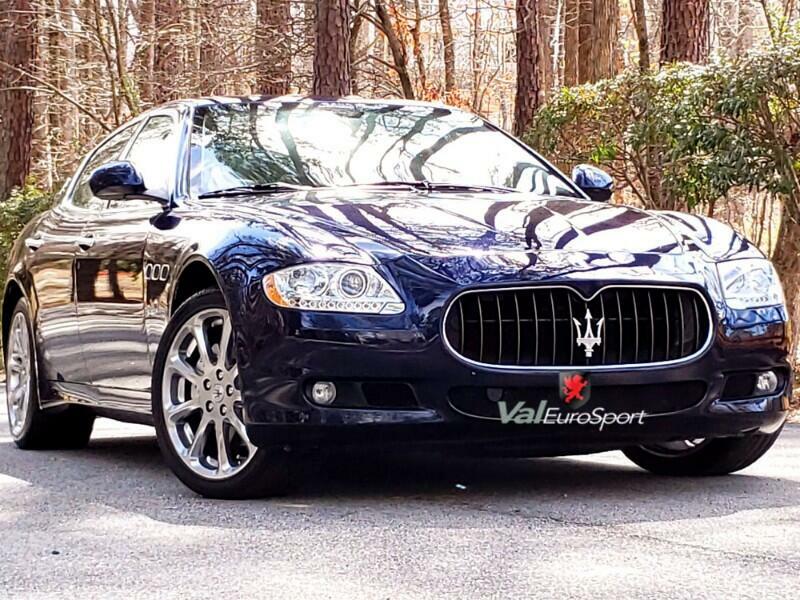 Beautiful color combination for this body style Maserati Quattroporte with just under 14k miles: Blu Oceano on Cuoio leather. Unmolested, well preserved car with the rare Executive GT, Rear parking sensors, Heated seats, Bluetooth, 4 zone climate control, rear Privacy Shades, Alcantara headliner, and XENON lights. Have all records and factory option list. Won't last at this price! Call Val now at (919)624-3033 and set up a time to come by and test drive this car.